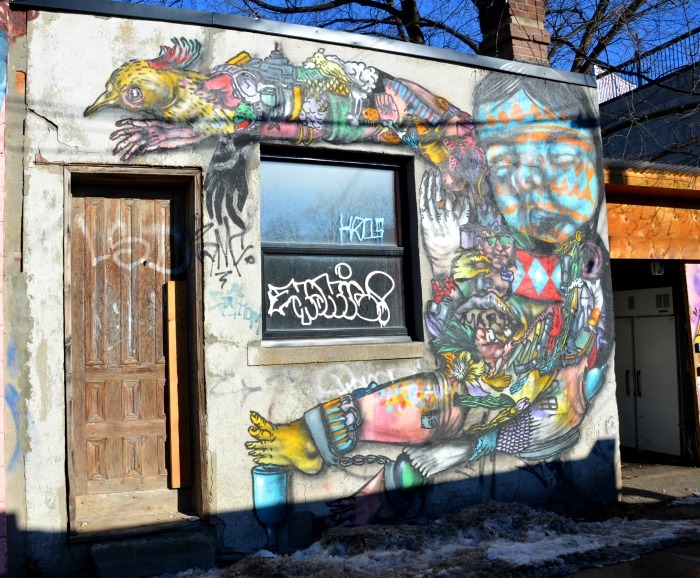 This neighbourhood had a certain aura when I first moved to Toronto – everyone wore black, especially black t-shirts, black jeans black leather jackets and black Doc Marten’s boots, a post-punk, rock n roll sensibility that marked you a resident, and not just a weekend visitor. 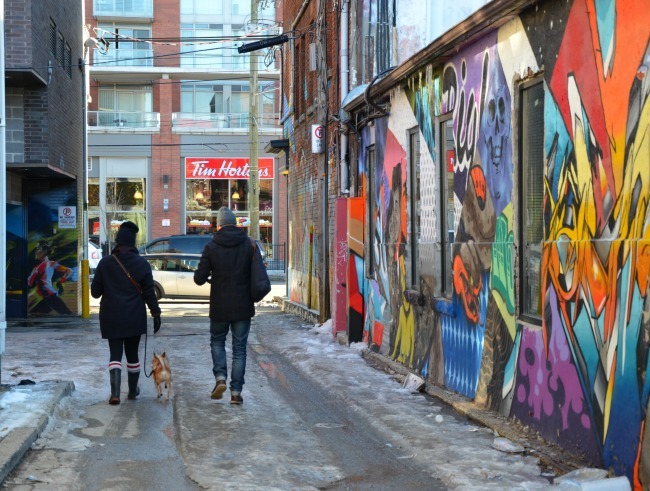 And the alleys – well it wasn’t a place for graffiti – just garbage. I keep my eye on what’s happening way out west – which used to be an edgy stretch of hole in the wall clubs and dodgy bars. Now the runners and cyclists thankfully outnumber the homeless and junkies, but the inventiveness still continues on the back alley walls. 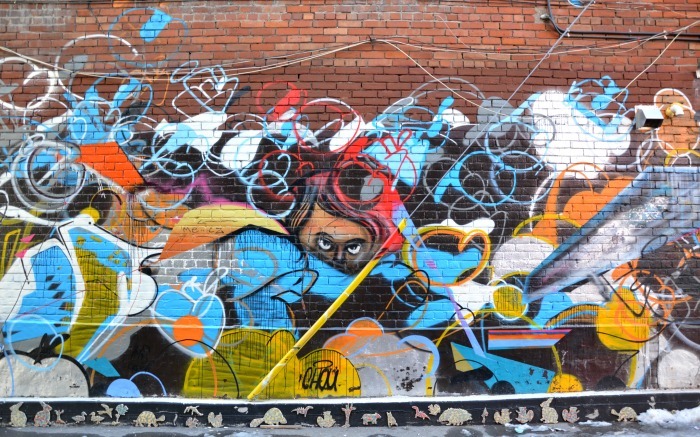 Love your eloquent take on the evolution of Queen West. Isn’t it the truth? All still black – just different labels!